Tracking pixel. How does the simplest web bug work? A tracking pixel is just a small image (1×1) that allows you to send to the server (or an external one) some information about the action the client is being doing on your site. The src attribute of the image will be the URL of the script where the pixel must be processed. 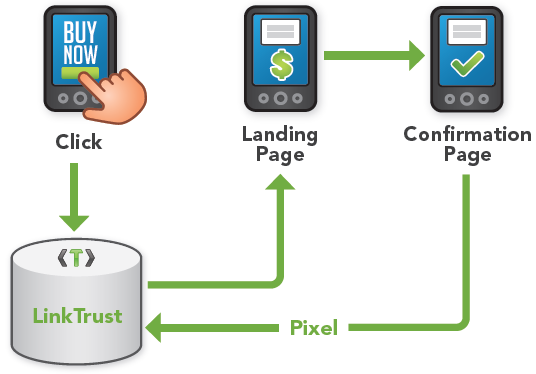 Tracking pixel is a specific implementation of a web bug. How do I include a tracking pixel in my site? On the script located in http://tracking-server.com/pixel-land.php?cid=3 you can process the request and then use the params you receive by GET to process any information. Return an empty 1×1 transparent GIF. You can think the first option is better, because you are sending no data. But, what does a transparent 1×1 GIF weights? 35 bytes. The worst connection in the world won’t appreciate any change. Why would I need a tracking pixel? How many times a user arrives to shopping cart page? How many users has cookies deactivated when they access the site? When a user arrives at shopping cart, how many products (average) has been added to the cart in that moment. 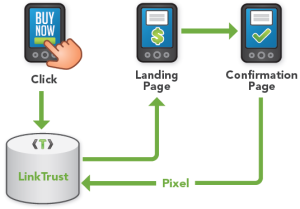 Lets see an image of a typical “conversion tracking pixel” implementation. A conversion is the moment where a user has made the end-action your website is expecting (subscribe to a newsletter, buy a product, register as a user,…). When the user arrives to confirmation page, then the pixel is sent to the server and processed. Are there any alternatives to tracking pixel? This entry was posted in Analytics. Bookmark the permalink. ← What is a “full stack developer”?